No new fitness program has had quite the impact of CrossFit. Chances are you’ve heard about it, and all the stuff that goes with it. You’ll have heard strange vocabulary like ‘Boxes’ (CrossFit gyms), ‘WODs’ (‘workouts of the day’) and much more. You might have friends or colleagues that have taken up CrossFit and even tried new diets or fitness challenges through their ‘Box’. It might sound kind of intimidating, or you might think it’s just another fitness fad, but CrossFit has a lot going for it and is definitely here to stay. If you haven’t been tempted into a CrossFit Box yet, let us walk you through the benefits of CrossFit that are sure to make you a CrossFit enthusiast! When starting on a fitness journey, many people struggle with whether to join a gym, invest in a home fitness studio, or hire a personal trainer. CrossFit gives you some of the benefits of all three of these. CrossFit Boxes will provide you with all of the equipment you need for a variety of all-around workouts. Cardio equipment, free weights, flexibility aids - all of these are at your CrossFit Box. Unlike a public gym though, you don't have to figure them out on your own. Your CrossFit classes will be well guided by trained coaches, with skills support, someone to check your form and prevent injuries, and pre-planned workouts so you don't have to think about your own program. Because CrossFit Boxes typically serve small groups that train regularly, you get a much more tailored program than if you try an online fitness program or work out on your own at the gym. Best of all, the group structure means you get most of the attention of a personal trainer, but at a fraction of the price. If you have been thinking about training at home because you like the convenience and the privacy, CrossFit might work for you too. Most Boxes run very small groups, so you won't be working out in front of a lot of people. Typical groups are around six people, and chances are you'll find everyone in your group is supportive and encouraging. Most Boxes offer classes and groups from early hours until late in the evening, so you'll find a time and days that work for you. CrossFit Boxes are now a global phenomenon, so there’s bound to be one near you, and you can usually find Boxes to visit when you are traveling too! One of the cornerstones of CrossFit is strength training. Not every workout is lifting weights but expect to get familiar with free weights and weight lifting techniques. Don’t think CrossFit is all about ‘bulking up’ - it’s much more subtle than that, and it isn’t going to give you huge biceps. The CrossFit strength training program is primarily designed to help you get toned and get strong. Of course, that will help you to look good, and if weight loss is part of your goals then improving muscle tone will certainly help you too. CrossFit strength training uses a varied, all-around program based on a few basic movements, so don't worry about having to learn lots of new skills. You’ll soon master the basics of ‘Olympic lifting’ technique, and chances are you'll be surprised at how much fun weightlifting can be, and how quickly you see the benefits! CrossFit is about all-around ‘functional fitness.’ The strength training you’ll do at the Box will not only get you stronger and fitter, it will help prevent injury in other sports and activities. Best of all, you’ll enjoy that newfound strength in your everyday life, whether it’s picking up your toddler, moving the sofa, or just impressing your friends! CrossFit isn’t just about lifting weights. Most workouts follow the premise of the ‘High Intensity Interval Training’ (HIIT) model, where you work out - hard - for short periods interspersed with rest. Sure, you’ll have ‘strength days’ where your WOD (workout) is primarily about lifting heavy and lifting correctly, but on other days your WOD will be totally different. These high intensity days will introduce you to a cardio workout that is much tougher, and more fun, than just running on a treadmill or joining a spin class. Best of all, you’ll get a serious workout in a much shorter time. CrossFit prides itself on combining the cardio benefits of HIIT with strength training for maximum benefits. While you can expect to run from time to time, run distances are short (a half mile or less) and interspersed with other intensive movements based on plyometrics and e﻿﻿xplosiv﻿﻿e power. 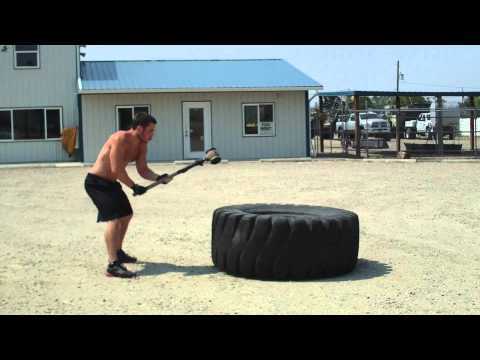 Your cardio WODs might have you pulling tires, carrying sandbags, jumping onto boxes, and throwing weighted balls. If you’ve shied away from cardio workouts because you didn’t think you could do them, but you still want to get fit, then CrossFit is perfect. Some workouts push you very hard, but in short intervals that really anyone can do (called ‘Tabata’ workouts), and over time you’ll find that your speed, power, and endurance all improve! Okay, let’s say you are looking at the schedule for your local CrossFit Box, and you see most classes are about an hour. We’ve just been describing the types of high intensity workouts you can expect, and you may be thinking, ‘I need to work that hard for an hour?’ Well, no. Remember how we said with powerlifting and with HIIT workouts you get a lot of benefit from a shorter workout time? Well, that's the case at CrossFit. You’ll work out hard for about half an hour, but your class will start and finish with a very carefully designed program of warm up and cool down that protects your muscles and joints and helps prevent injury. These aren’t your everyday stretching routines though, CrossFit warm ups and cool downs do much more. Based on the premise that to prevent injury and maximize performance you need to build a combination of flexibility (muscle movement) and mobility (joint range and stability). This means that what you get is so much more than just improved flexibility, you get another aspect to your workout that helps you stay active for longer! One of the best things about CrossFit workouts is the variety. This is not the kind of program where you turn up and do pretty much the same workout over and over, or just run on a treadmill. Like we’ve mentioned, workouts are designed to build into a complex progression of strength, cardio, and flexibility training, but most of all they focus on ‘functional fitness’. That means CrossFit WODs can sometimes be really creative. Of course, there will be strength or cardio days, where you will spend time on the rower or with the free weights, but you’ll soon be throwing weighted balls, dragging or flipping tires, skipping rope, carrying sandbags, working with rings, or climbing ropes. Some days you’ll work in teams or pairs, other days you’ll be working solo. Sometimes you are outside, other days exploring all the equipment for the gym. The range of exercises is almost endless. There’s one thing for certain though, and that is you’ll never get bored with CrossFit! CrossFit is more than just a workout program; it really is a way of life. You don't have to sign up for the whole CrossFit package, but if you also want help with nutrition, motivation, and personal development, then CrossFit has it for you. CrossFit coaches are also trained in nutritional programs such as the Paleo diet, which complement the CrossFit fitness program. Many Boxes also offer diet challenges to help you develop good nutritional habits. Some Boxes include yoga or Pilates sessions, meditation programs, and personal enrichment plans. These programs are designed to work with the fitness elements of CrossFit. You don't have to become a true ‘CrossFitter’, but if you are looking for an all-around, whole body and mind improvement package, CrossFit might be perfect for you. Because it’s a lifestyle program, CrossFit encourages a community approach to help you stay motivated and achieve your goals. CrossFit athletes are encouraged to support each other, and your fellow CrossFitters will pick you up after a tough workout and help you celebrate after a WOD personal best. Don’t be surprised if your CrossFit coach also takes a personal interest in your success. They may call you if you miss a workout to make sure you’re okay and they’ll let you know if they see anything changing - positively or negatively - in your progress. Not only will you enjoy the camaraderie of your local Box, you’ll get access to an entire online community that shares your interests! Not everyone works out to train for an event, but there’s no doubt that a certain amount of competition can help you stay motivated and enthusiastic about your workouts. The great thing about CrossFit is you can be as competitive - or not - as you like. Almost every CrossFit Box will post everyone’s performance on the day’s WOD on a whiteboard - whether it’s how much you lifted, how many rounds you did, or how fast you went. If you aren't competitive by nature, don't worry - it’s really more to motivate you to do your best, and to help your CrossFit coach keep a record of your progress. However, if you are a bit of a competitor, the WOD scores might be enough to help you push yourself a little bit further with each workout! If you are really interested in competing, CrossFit hosts ‘Crossfit Games’ at local Boxes all the way up to high profile, televised national championships. If you want to get out and compete at CrossFit, the sky’s the limit. There are always competitions around, lots of divisions from juniors through masters, and you are sure to find something to fit your ambition and your fitness level. CrossFit is an ideal program if your social conscience is important to you. The CrossFit brand has aligned itself very closely with support of the military, initially because the ‘functional fitness’ model worked very well for soldiers in training. CrossFit has turned this into a serious movement though, and reached out to a community of veterans to help with post-service fitness and rehabilitation. You’ll soon grow familiar with the CrossFit ‘hero workouts’, each named to honor a fallen soldier and keep their legacy in our hearts. Workouts like ‘Murph’ will not only challenge you physically, they’ll give you a reason to stop and take a moment to learn about the workout namesake, and to remember and honor their service. Hopefully, the 8 CrossFit benefits we’ve just talked about will get you motivated to check out your local CrossFit Box and give it a try. If you are looking for a program that will improve your all-around, overall fitness, then CrossFit is for you. You’ll get a tough workout without training for hours, but best of all you’ll be part of a whole new fitness community that shares your interests and supports you in your goals. 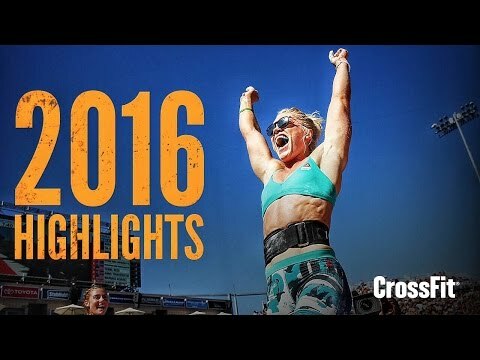 There’s a reason that CrossFit isn’t just a fad - it really works! Have you joined a Box recently and are feeling the benefits of CrossFit? We’d love to hear about your experience!